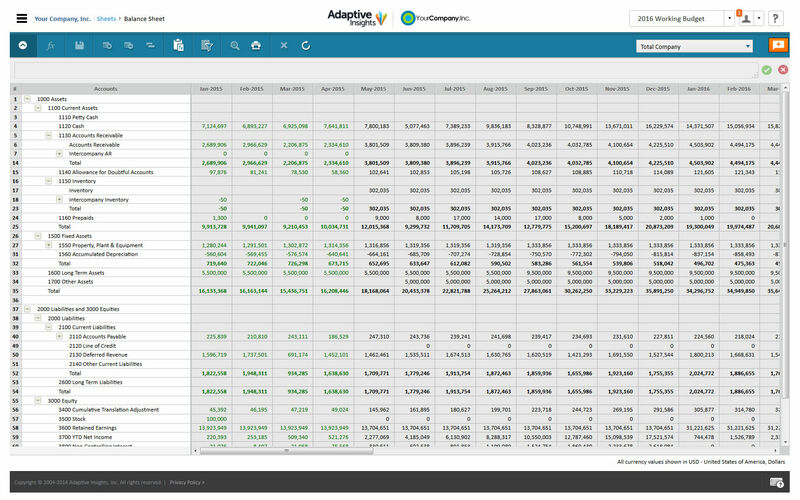 Internally, Adaptive makes budgeting and reporting amazingly simple. External reporting has been more of a challenge, as some external users of reports want more visibility into where the numbers came from. Sage Intacct is well suited for creating reports and dashboards where we can easily see and keep track of our budgeting and finances. It is a useful tool for companies of all sizes. We previously had a different software that our company had outgrown. Sage Intacct allows us to do our job more accurately and in a timely manner. Bottoms Up budgets are built using flexible models that can be customized at the contract level. Our operating divisions vary in their drivers and KPI, and Adaptive has let us tailor specific sheets to specific requirements. The different models then roll up into the corporate reports and budgets. Adaptive Office Connect has become a valuable tool in producing monthly reports in Word and PowerPoint. We are able to rapidly update reports as budgets and forecasts are modified. Using the multiple versions available in Adaptive has allowed us to create and compare various 'What If' scenarios without losing sight of the differing assumptions. Adaptive has been adopted by many different levels of users who do not need heavy IT or Financial backgrounds. These users, with some basic instruction have been able to gain ownership of the budgets and modify reports as needed. Creating custom reports to track our revenue and spending the way we want to view it. We are able to store scans of documents to help us on our way to becoming paperless. Recent introduction of multiple time periods (e.g. days and weeks) vs. months only is still under review to see if we can properly adopt it to our needs. In the reporting functions, it would be nice to be able to create scheduled reports or trigger specific report delivery. Cell phone app does not exist. Additional modules (i.e. budgeting, interactive reporting) cost extra. It really is very easy to start using. The UI is very clean and all functions are within easy reach. It's never been out of action when we've needed to use it. Never ever have any problems. Support is knowledgeable and swift. The training is designed for implementing intacct as opposed to utilizing intacct. I think that both are necessary to learn, but wish there was continued training for using it once Intacct is in place for the users. adaptive has the ability to be changed without issue. Adaptive is much more flexible and powerful for our needs. It provides a wealth of reporting tools and capabilities that Cognos simply didn't or couldn't provide. The ability to have a team of one completely implement and manage the solution for a company is not unreasonable (as I'm currently doing this). Based on my previous experience, that would probably not be the case with other solutions. Adaptive has definitely cut the length of our budget process/season. What used to take us 5-6 months is now down to 3 and during that time the process is much simpler and less frustrating. Financially the product is far more affordable than many other solutions. We saved thousands a year by ditching our old solution and implementing Adaptive. No I/T involvement is also important to note. This allows us to get started, make changes, generate reports, create new metrics when the business needs them, not when I/T can get around to it. 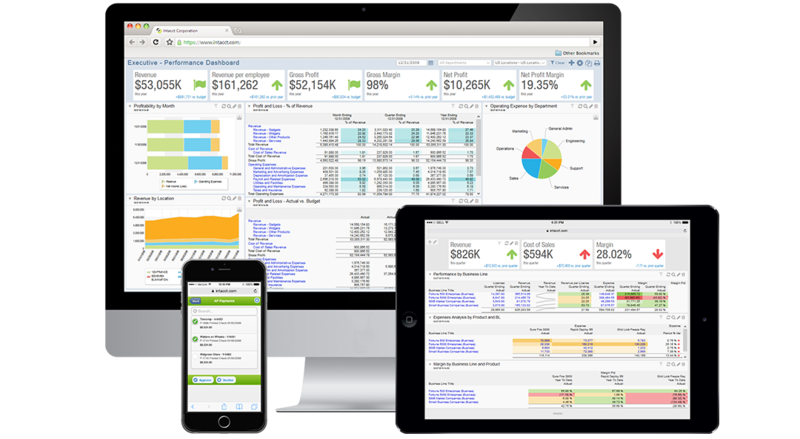 Sage Intacct puts powerful financial and operational information at your fingertips.